Asafa Powell was born on the 23rd November 1982, in Spanish Town, Jamaica, and is recognized for being a professional track and field sprint athlete in the 100 meters, who held the world record from June of 2005 to May 2008, with 9.74 seconds. He has been an active member of the sports industry since the early 2000s. So, have you ever wondered how rich Asafa Powell is? According to authoritative sources, it has been estimated that the total amount of Asafa’s net worth is over $6.5 million as of mid-2016, accumulated through his professional career in the sports industry as a professional sprinter. 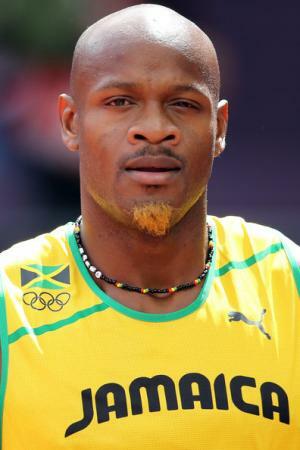 Asafa Powell was raised with five older brothers by parents who are both ministers. After finished Ewarton Primary School, he attended Charlemont High School, both in St. Catherine, Jamaica. There, he started to train for track and field, representing his school at the ISSA High School Championships, finishing fourth in the Class 1 200 metres. The following year, he again participated at the the ISSA High School Boy And Girls Championships, and he finished seventh in the Class 1 100 metres Final. However, he was spotted by coach Stephen Francis, and in no time, his first victory came at the JAAA National Championships in the Boys Under-20 100 metres. From then, he became more and more focused on his career. In 2002 he competed in the Commonwealth games, winning the silver medal in 4×100 relay race. His next big tournament was the Commonwealth games in 2006, where he won the golden medal in the 100m, and 4x100m relay. In the 2008 Summer Olympics Asafa won the golden medal with his teammates in the 4x100m relay; all of these competitions added to the overall size of his net worth. He also competed in the London Olympics in 2012, but his results were the worst yet, as he was injured in the 100m finals and finished last. After the Olympics, in 2013, Asafa tested positive to a doping test, and was suspended for six months. Asafa has also participated in the World Championships; in 2007 in Osaka he finished third in 100m discipline, and also two years later in Berlin, but in Osaka he won the silver medal in 4x100m relay, and in Berlin a gold in the same discipline. His latest success came in 2015, when he was a part of the Jamaican relay team on 4x100m which won the gold medal at the World Championships in Beijing. His net worth is certainly still rising. When it comes to speak about his personal life, Asafa Powell dated Jamaican Model Yendi Phillips from 2010 to 2011, but according to sources in the media, he is currently single. In his spare time, Asafa is very active across many of the most popular social media platforms, including Facebook, Twitter and Instragram, on which he has a huge number of followers.